Save Up To $20,000 on Select Homes at Barcelo at Solana Heights! VENTURA, Calif. - Dec. 13, 2018 - PRLog -- Don't miss your chance to call Solana Heights your home with its final neighborhood, Barcelo, down to its final homes! Plus, for a limited time, you can save up to $20,000 on select homes. Located only two miles away from downtown Ventura and within a family-friendly masterplan, Barcelo offers buyers a great opportunity to purchase a single-family in a prime Ventura location near exciting recreation, entertainment and top-rated schools. And with a wide selection of quick move- homes available now, you can start the new year right in a brand-new Lennar home. "The lifestyle you've always dreamed is available at Barcelo, where you're just a short drive from the beach, scenic hiking and a variety of options for socializing and entertainment," said Ken Melvin, Division President for Lennar LA/Ventura division. "Remaining homes at Barcelo won't last long, so take advantage of the incredible savings available now and stop by the Welcome Home Center today and discover how you can elevate your living experience and lifestyle!" At Barcelo, homeshoppers are sure to find a home that checks every box on their new home checklist. Choose from three distinct two-story floorplans ranging in size from approximately 2,603 to 2,971 square feet including three to four bedrooms and two to three bathrooms. Floorplans are designed for the modern family and fashioned for today's lifestyles to deliver a better living experience. Experience open living areas designed for entertaining, sophisticated master suites boasting lavish master bathrooms, fabulous California Rooms for outdoor living, flexible spaces per plan and so much more, plus select homes offer partial ocean views. 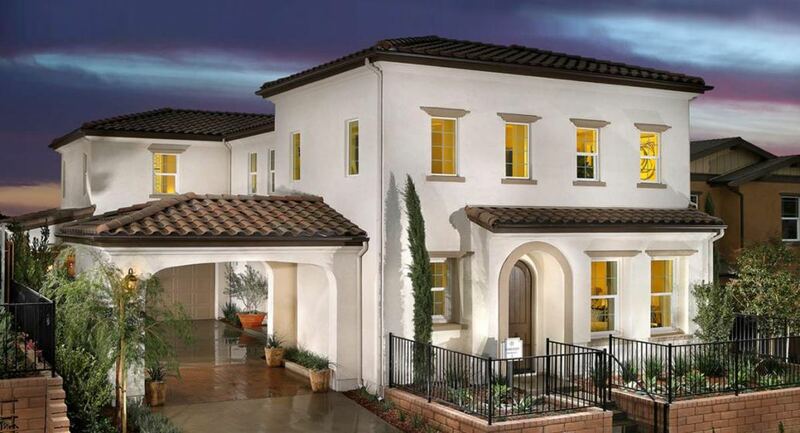 Barcelo (https://www.lennar.com/new-homes/california/ventura/ventura) is set within the Solana Heights masterplan showcasing a unique blend of townhomes and single-family homes where timeless architecture meets casual luxury. The masterplan provides residents with fantastic community amenities to enjoy including three parks—an entry park with picnic tables and barbecues, a gated dog park and a central park with play equipment, outdoor seating and inviting relaxation and gathering space. Ventura lies in the heart of the central coast and away from the hustle and bustle. This coastal city offers it all: Stunning pacific sunsets. ; delicious eateries; renowned art museums; plenty of shopping options from high-end to prized vintage and much more. It's the type of setting where strangers smile and say hello because when you live just a short drive from the beach and local luxuries, it's easy to find joy in the everyday. Families will also appreciate the easy access to a variety of first-rate Ventura public and magnet schools such as E.P. Foster Elementary, De Anza Academy of Technology and the Arts and Ventura High School. And for commuting, residents are perfectly situated close to local freeways including the US-101 and SR-33. New homes at Barcelo start from the low $7000s. Prospective homeshoppers are encouraged to visit the Welcome Home Center for a tour located at 232 Chickasaw St. in Ventura. For more information, visit www.lennar.com or call 805-665-6085.